Completing your first half-marathon, going in for your 20th full, or claiming 5 km’s without stopping as a victory? Running is a personal journey of discovery, not to mention a wonderful way to experience a new city. 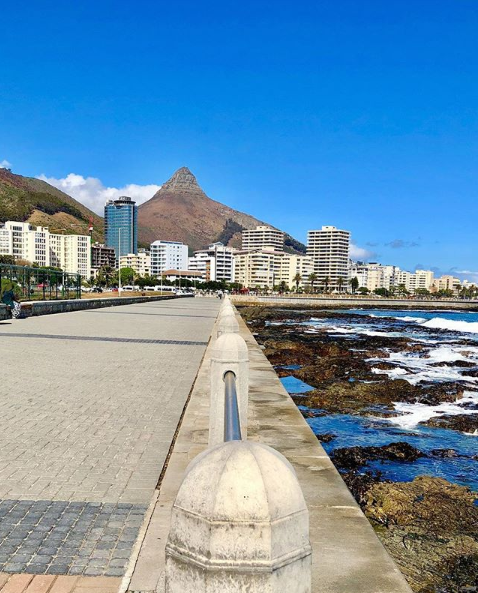 With the 50th Two Oceans Marathon just around the corner (on 20 April), we could think of no better time to share our favourite Cape Town running routes. 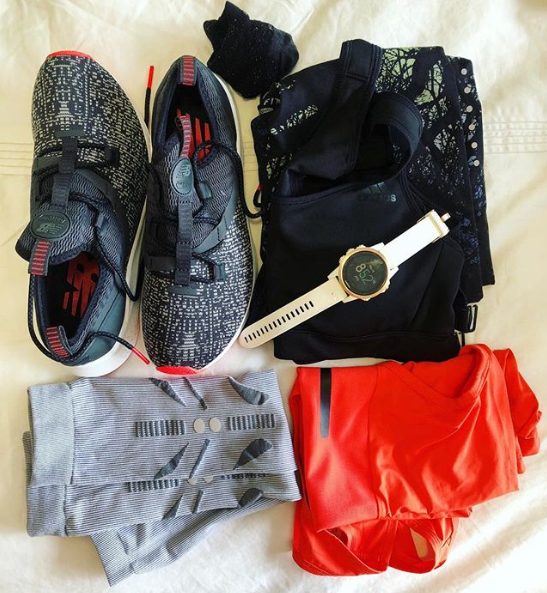 If you plan on hitting the tar over the weekend, make sure to stop at the OZCF Market afterward, and join fellow Capetonians in their lifestyle of fitness and foodie indulgence. We also share more about our excellent spa recovery treatments, as well as the perfect post-workout smoothie. 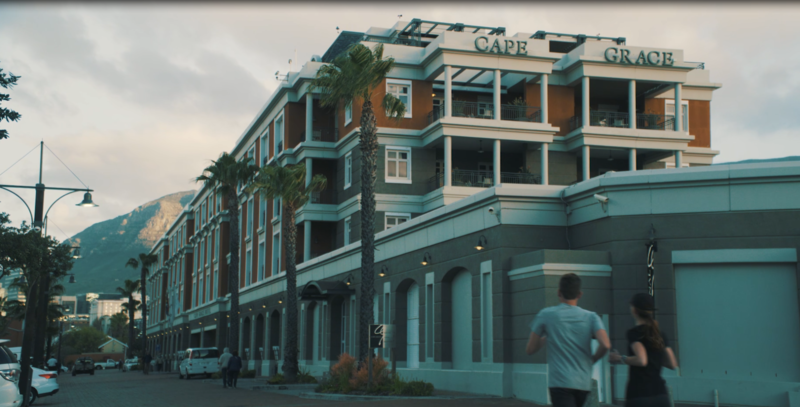 One of the city’s most picturesque running routes can be found right outside Cape Grace in the V&A Waterfront. Whether you run, jog or even walk the route – there are two beautiful 2.5km or 5km options. The route starts at the Tourist Information Centre and snakes past many well-known V&A Waterfront landmarks including the Aquarium, the One & Only Hotel and the Cape Grace Hotel before winding its way over the Bascule Swing Bridge, past the Victoria & Alfred Hotel, the Cape Wheel and the Amphitheatre before reaching the Table Bay Hotel. From here, the route reaches the Breakwater and the newly developed scenic Boardwalk Path which forms part of the route. The map is available from the concierge team at reception. Both the 2.5km and 5km options are marked. 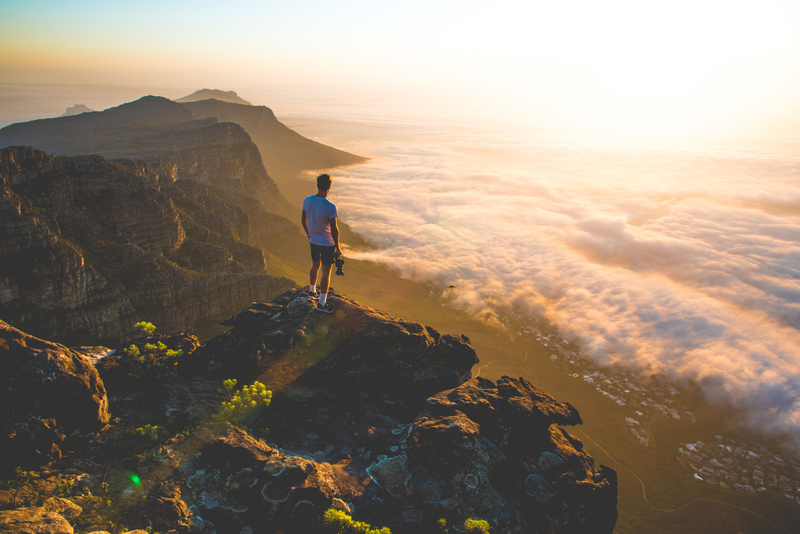 With amazing views of the Twelve Apostles and Camps Bay below, the Pipetrack is an understandably peopled route. It’s an undulating trail dotted with trees and benches from where to soak up the sunsets, but can also be secluded, so is best not run alone. 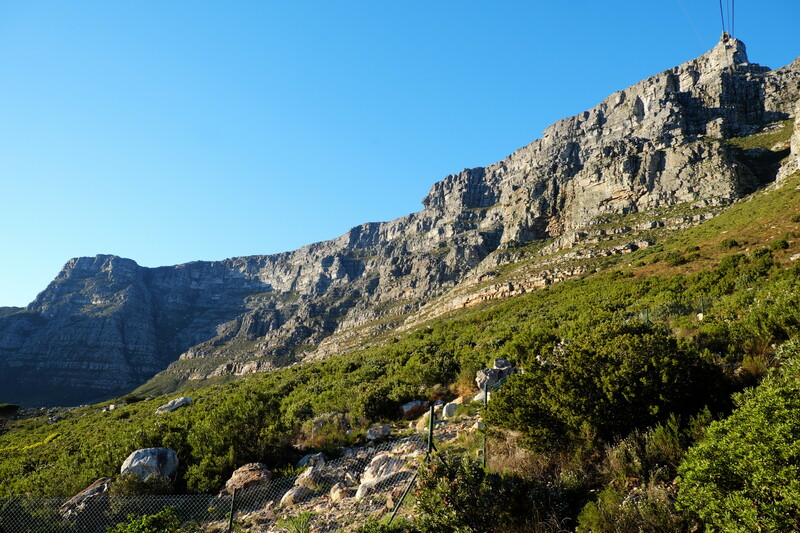 The trail begins at the top of Kloof Nek at the Table Mountain Cableway (there is a parking lot and set of steps that will take you there) and follows a water pipeline past Bakoven, with easy access to Table Mountian’s many hiking paths. The most popular loop is about 6km in total. 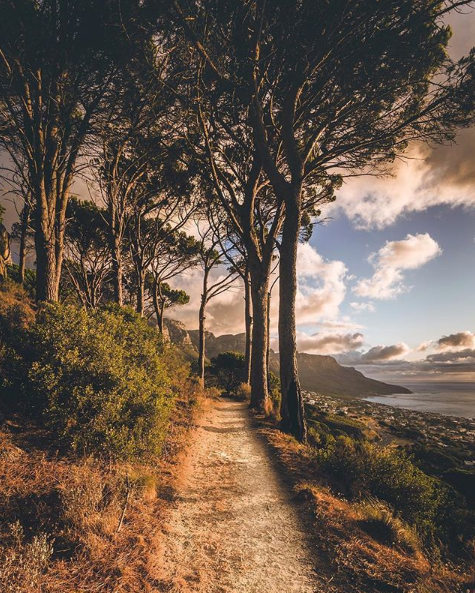 With mesmerising views of the rolling Atlantic Ocean, this is most likely the most popular route in Cape Town! The Seapoint Promenade begins at Granger Bay and stretches until Bantry Bay, though you could begin at Cape Grace and extend your run further, loop it back up Camps Bay, and even run back through Greenpoint Park (on Saturdays, there is a 5km Parkrun at 8 am which you can read more about here). 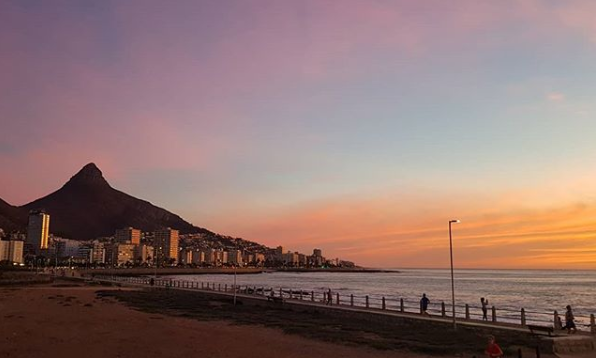 The Green Point Lighthouse is a popular starting point, and, if you run from there to the Sea Point Pools, and back again, you will clock up some 7 km in total. The ‘prom’ is constantly populated by dog walkers, fit mums, families, cyclists, and fellow runners, so head out early if you want to avoid the bulk of the crowds. Reward your efforts with a coffee (or ice-cream) stop afterward from one of the many cafes. With panoramic views of the city, Cape Town Harbour and Robben Island, you truly feel like you’re on top of the world. 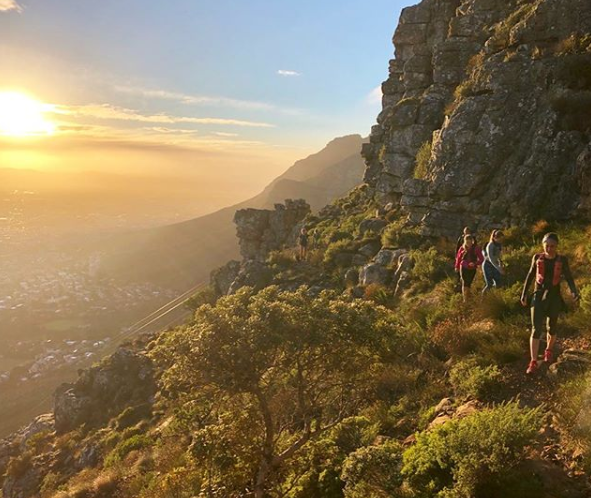 Starting at the foot of Tafelberg Road (or Cable Car Station for a shorter run), run for 6km along the base of Table Mountain and around the bottom of Devil’s Peak. You can expect some steep hills, as well as waterfalls, ponds, and even canons. It is a popular route with walkers, joggers, and mountain bikers, but can be unpredictable with regards to wind and sudden weather changes, so keep safe and take along a companion. Turnaround where you like, or stop at the start of the mountain bike track for a 12km loop. Beginning at the Signal Hill road near the hut at the start of the Jeep track, this loop takes you around the perimeter of Lion’s Head, rather than all the way to the top (though more ambitious runners do this route!). 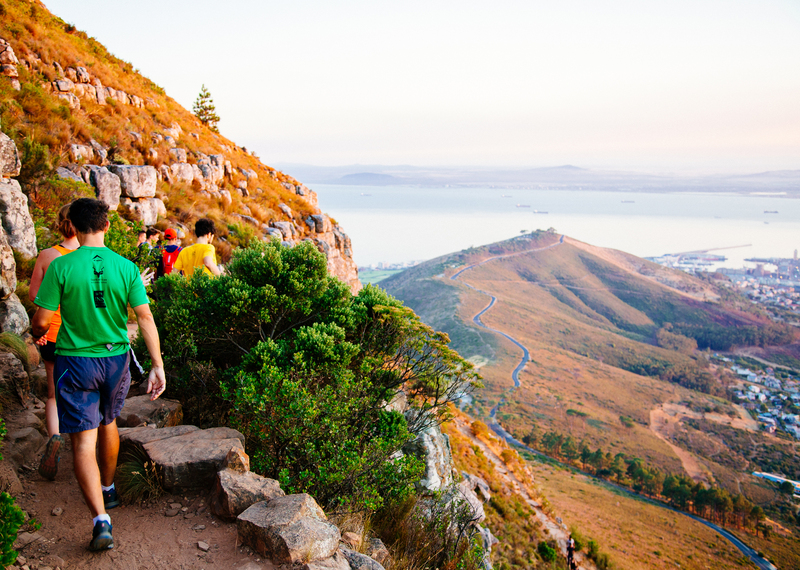 Winding your way around the mountain means that you’re treated to 360 degree views of the Atlantic, City, and even Robben Island, before connecting back down to Kloof Road and the parking area. This is a great run to do with a friend. After all of your hard work, you deserve to rest and relax. Take advantage of our two Spa promotions running in April. Give your whole body a spoiling with a hot stone massage and muscle gel application, or combine a Back, Neck and Shoulder massage (option to swap this out for a Foot and Calf massage) followed by a 30-minute facial that will leave you feeling refreshed from head to toe. As you increase your mileage, it is incredibly important to focus on fueling and recovery. Ideally, a post-run (or workout) smoothie should contain a blend of powerhouse ingredients that help with inflammation, repair, and most importantly, get you back on your feet and out the door again. So without further intro, we say, bring on the berries! 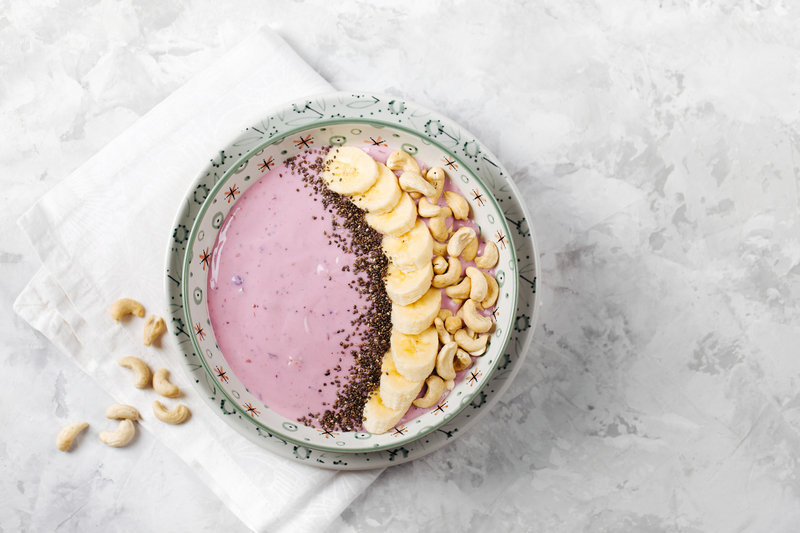 Blend this up to your preferred consistency, and top with chia seeds or other nuts to add some more crunch and healthy fats. If you are participating in the Two Oceans Marathon this year, we wish you a happy, wind-free, and spectacular race! We look forward to celebrating with you.